Thank our Bombshell/Shanghai sponsoring local businesses by stopping in to say hello and shop around! Their support is invaluable to the development of our community, and sponsoring the Omnium is just one way they give back! Nan Eastep, owner of B.Spoke Tailor makes beautiful bespoke garments for on and off the bike! She works out of her amazing Oakland workshop and we swear must have at least 25 elves who help her while everyone is fast asleep! Adam and Timm, owners of The Spoke are quite possibly the most reputable used bike dealers and employ a full female staff! Need an esoteric part and don’t wanna get jerked around by some douchey dude? Head to The Spoke! Did you know Freight Bags is the OFFICIAL Bag Sponsor of the Bombshell / Shanghai Omnium?! Hell yes Travis and Brianna! THANK YOU! THANK YOU! THANK YOU! 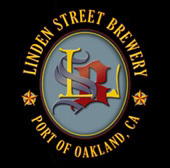 Linden Street Brewery has donate kegs to the after party of all the East Bay races. They are top notch bike supporters!